/ Atrantil Review: Can Tannins, Saponins, And Peppermint Fix Your IBS? The relatively new herbal supplement Atrantil claims to attack the root cause of IBS-C at its source. But what are the ingredients exactly, and what do the studies say? I recently tried the supplement, and have got all the info for you! As mentioned in the original (unedited) blog below, I tried making my own at-home version of Atrantil. It was a massive fail, and I went back to buying Atrantil, which continues to work wonders for me! I will never doubt again! I even had the pleasure of interviewing the founder, Dr. Ken Brown, on an upcoming episode of The Intermittent Fasting Podcast, and learned why my homemade version didn't work, and why Atrantil is so amazing, as well as tons of fun nitty gritty science about the gut microbiome, digestion, health, intermittent fasting, and more! Stay tuned! 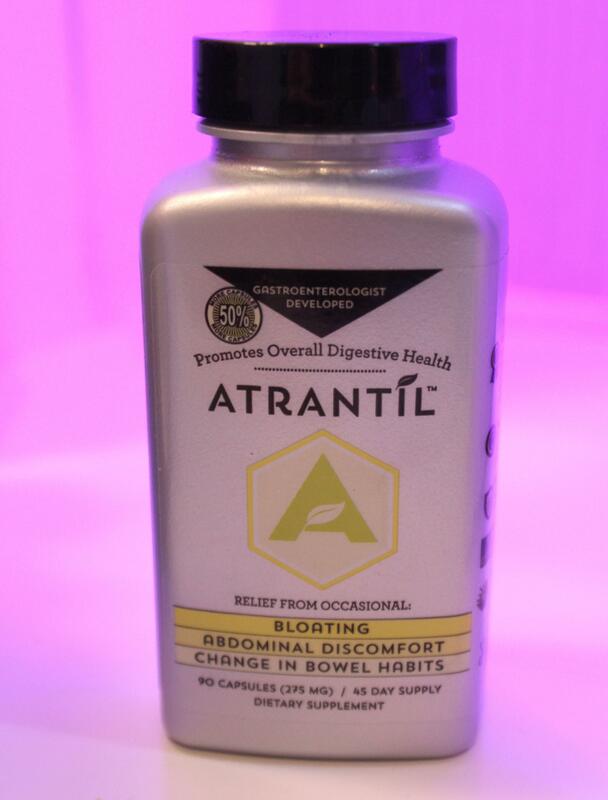 Use the link https://www.lovemytummy.com/ifp/ with the code IFP, to get 10% off your purchase of Atrantil!! Though it's been a bumpy road, I've made massive improvements in my gut issues, which largely started after a bout of food poisoning and diagnosis of "SIBO" about two years ago. For my entire story, and to find out what ended up being key in largely resolving things rather quickly, check out my post, Breaking Free From SIBO: MY IBS Story And "Cure" (Things get real!) That said, I'm not 100% (are we ever? ), and am always looking to achieve the ideal gut state which my rose-colored glasses (likely erroneously) view in my past. I now do this by pursuing gut health with a mindset of restoration rather than eradication. In other words: what can I gain from this supplement, food, or protocol, rather than what can I "get rid of." During my panic-driven SIBO #attackmode days of old, I slammed my system with anything and everything I could find which would possibly kill the critters residing in my innards. We're talking things like oregano, allicin, SCRAM, interphase, grapeseed oil extract, etc. etc. The herbal supplement Atrantil was one such supplemental flirtation. Given the context, I'm not so sure I could distinguish Atrantil's effects from the vast swarm of other potential remedies. I remember taking a few pills of Atrantil during this time, feeling a bit of bloaty reaction, and giving up. I recently, however, listened to an interview with Atrantil's creator, gastroenterologist Ken Brown, on Robb Wolf's Paleo Solution podcast. I appreciated Dr. Brown's thorough knowledge of SIBO and IBS-C, as well as his explanation of Atrantil's mechanism of action (more on that in a just a bit!) While I suppose Atrantil qualifies as an "attack" supplement, Dr. Brown maintains the supplement supports gut health in general, so it satisfies my new criteria of restorative supplementation. After doing some of my own additional research on the Atrantil's active ingredients, I as well see promise in it. So I gave Atrantil another go. I'll relay my experience in a moment, but let's first look at Atrantil's ingredients and proposed mechanism of action, as well as the clinical studies on the subject. SIBO stands for small intestinal bacterial overgrowth and (surprise!) involves too much bacteria in the small intestine, a portion of the GI tract which should be relatively sterile compared to the large intestine (also known as colon.) This dysbiosis of the gut microbiome can lead to digestive troubles, such as bloating, diarrhea (IBS-D) or constipation (IBS-C). While a multitude of factors (neurotransmitters, the vagus nerve, food intolerances, etc.) and different compositions of bacteria can affect these effects, the presence of hydrogen and methane gases in the intestines, which the bacteria produce as a byproduct of fermenting our food (particularly fiber and carbohydrate), can help indicate the type of overgrowth. If you often get bloating after a meal, it's quite possible you have some SIBO-y stuff going on. Atrantil contains 3 key herbal ingredients which may work synergistically to attack and discourage the growth of the methane-producing archaebacteria. According to the studies, the supplement contains the highest commercially-available concentrations of these compounds which do not promote toxicity. Atrantil's first key ingredient is 150 mg of quebracho extract, a flavonoid which provides a concentrated dose of tannins. 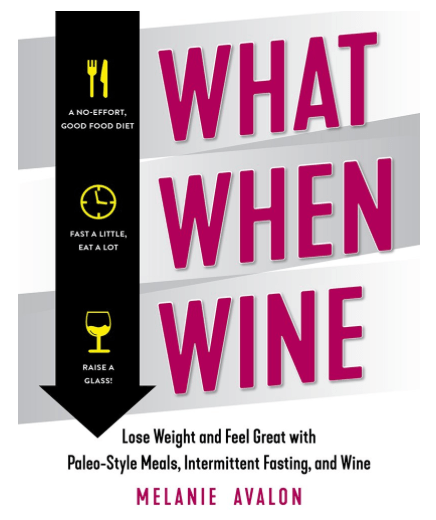 You may be familiar with tannins from wine. (And we do love our wine around here!) The word "tannin" hearkens back to the tanning process, in which tannins "tan" hides - drying them out into leather. Tannins in wine (both from the grape and also any aging in oak barrels) create a characteristic astringency and bitter nuance in the beverage. They actually have this drying effect because they serve as a natural defense mechanism in plants, by attaching to the proteins of potential fungi and bacteria. 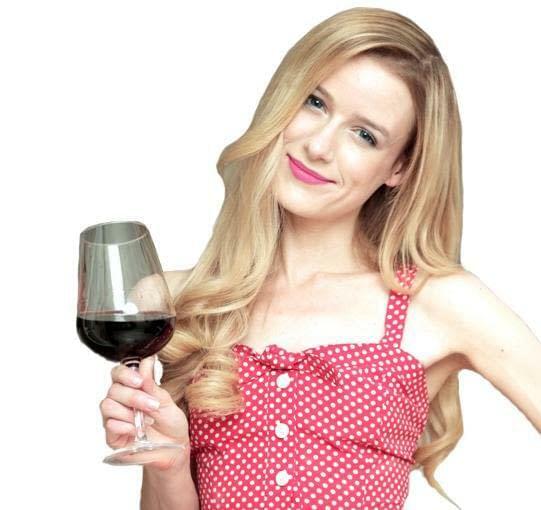 When you taste tannins, they attach to your saliva, which serves to deactivate them so they don't attach to your digestive enzymes later down the road. Isn't it crazy how your body has totally got your back? Atrantil's second key ingredient is 470 mg of conker tree extract (likely akin to an herbal supplement more popularly known as "horse chestnut.") The conker tree extract in Atrantil features 20% saponins: plant compounds with soapy like characteristics, which are antimicrobial in nature like tannins. Studies have also shown saponins may encourage motility in the intestines and discourage methane production, again possibly by eradicating excess hydrogen. Furthermore, while both the tannins and the saponins in Atrantil seemingly do similar anti-bad guy things (reducing hydrogen and attacking the archaebacteria), Dr. Brown explains that the tannins specifically attack the cell wall of the archaebacteria, allowing the saponins to then enter and do further interior damage, discouraging future methane production. There have only been two published clinical trials of Atrantil, with small sample sizes. That said, they were well controlled and overwhelmingly positive. Let's look at them, shall we? Published in 2015, Atrantil's first trial lasted for 2 weeks, and was a double-blind placebo-controlled study. This is pretty good. It means the participants didn't know if they were receiving Atrantil or a fake pill, and neither did the researchers. In the study, 16 people (13 females and 3 males, aged 23-57) who had been struggling for years with IBS-C, and who had similar levels of bloating and constipation, were randomized into 2 groups. 8 received Atrantil, while 8 received a placebo. After 2 weeks, those unknowingly taking Atrantil experienced a pretty significant and convincing improvement of symptoms. Those unknowingly taking the placebo experienced essentially no improvement. The graph of the results is pretty convincing, and I strongly encourage you check it out here. Neither group experienced side effects. Atrantil's second trial was published in 2016, and included 24 patients (2 men and 22 women, aged 18-58.) This study also lasted 2 weeks, but contained no placebo. Instead the participants, who had seen no improvements with previous IBS treatments (including applicable drugs, the FODMAPS diet, and probiotics), all knowingly tried Atrantil to aid their IBS-C symptoms. After two weeks, 21 of the 24 patients reported improvements in bloating (5.1 fold), constipation (2.7 fold), abdominal pain (3.2 fold), and quality of life, yielding an 88% success rate. As in the previous study, no side effects were experienced. I again encourage you to check out the graph, which makes the improvements pretty clear. I strictly followed Atrantil's recommended initial protocol: 2 capsules, 3 times a day. They do suggest taking Atrantil with food to minimize any discomfort, but since I practice intermittent fasting every day (eating only at night), that was out of the picture. I found pretty consistent results and reactions throughout the whole first bottle, especially once I got into the "groove," as it were. The initial morning dose would have a remarkable effect of clearing any lingering feelings of "pockety air" that I seem to get in my intestines. I now imagine this is due to the "soaking up" effect of the tannins and saponins. The afternoon dose would actually create a slight bubble feeling which would dissipate (perhaps from attacking the archaebacteria?) I'd also usually sweat a little bit. The night dose wouldn't create any physical feeling, but would, interestingly, kill my appetite. This dose would also occasionally result in a slight but passing nausea. Though I was a bit uncertain while going through the bottle, I now feel that, overall, Atrantil helped with soaking up gasses, and perhaps encouraging migration of the archaebacteria to the large intestine. Now that I've been off the supplement for awhile, I do feel like some of the bloating is creeping back. While I would like to try another round of Atrantil, I'm not thrilled with the magnesium stearate and silicon dioxide additives. Additionally, the supplement is a smidge expensive for this struggling actress/writer 🙂 So I've decided to try using the knowledge I've gained from my experience and research, and concocting my own version! The studies, which have me pretty convinced of the hydrogen/methane soaking potential of tannins and saponins, do (thankfully) provide the dosage and concentrations of Atrantil's ingredients (unlike the bottle, which is more vague, in a "proprietary blend" type way.) I'm having difficulty finding a good source of quebracho to order, but since its mechanism of action is due to its high tannin effect, I'm going to try substituting white oak bark powder, which is known for its tannin concentration. I am able to order the conker tree extract, in the exact 20% standardized saponin content mentioned in the study. Yey! As for the peppermint, I already use a pure peppermint oil for a breath spray, but I think I might pass on this 3rd ingredient for now, at least for my initial experimentation. I'll be encapsulating the compound in gelatin capsules, which I prefer to cellulose. I shall report back about how my experimentation goes! Hopefully I will be able to create an affordable, additive-free home alternative to Atrantil which supports the gut. Worst case scenario, white oak bark and conker tree extract are used as supplements anyways for an array of health benefits, so I figure I can't do much harm. I definitely thank Dr. Brown for his developing research and attention to the SIBO/IBS-C problem, in regards to these obnoxious methane-producers. We definitely need more certified GIs conducting thorough clinical reasearch of holistic, herb-based approaches for managing (and hopefully eradicating) gut dysbiosis. And as final note, doing this research has also made me realize why red wine potentially always seems to calm my gut 🙂 Oh hey tannins! What about you? Have you tried Atrantil? I'd love to hear your thoughts in the comments below! Resist Starch… Unless It’s Resistant!